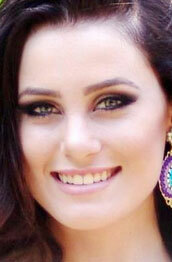 Dionara was chosen as one of the top 10 finalists of this year's Miss World Brazil 2012 contest. The choice was made ​​through a selection among the candidates who competed in the national contest in previous years from former candidates of states and islands in the Miss World Brazil 2009, Miss World Brazil 2010 2011. The grand finals will be held on July 2, 2012. Do you think she got the chance to get the crown?